Our Earth Breathes – We Can Help Her! “Breathing in, I know I am breathing in. Breathing out, I know that I am breathing out”, is a beloved saying of Buddhist monk Thich Nhat Hahn. As the video shows above, we are not alone in the act of respiration. Our Earth that sustains and feeds us is breathing as well. The question could be asked, what are we feeding her?? What Are You Feeding the Field? As we breathe from a place informed by our heart our breath opens and becomes more fluid and easeful. We then change the environment of this “global field”….thus making better decisions for the health of our planet, which is essentially intimately connected to our own health. 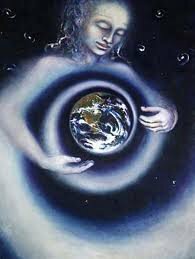 Remember on this 2012 Earth Day celebration………EVERY DAY IS EARTH DAY! See new review by Richard Miller, Ph.D!!! In a recent post by Melissa Geiger called Reclaiming The Wisdom of Your Belly she talks about the power that is located in this part of your body. Our modern culture has us not only being ashamed of our abdomens, but also doing everything we can do to hold it in so that we will supposedly “look better”, or fit the cultural standards that have evolved from who knows where. This applies to males as well as females. The fact of the matter is, if we hold our bellies in trying to achieve something that our natural body does not want to conform to then we can NEVER get a full embodied breath, nor expand that lower portion of our lungs. With belly held tight the breath inhabits upper chest and shoulders resulting in perpetually tight neck, shoulders, upper back and jaw. No wonder we continuously need massages to help relieve these chronically tight muscles! 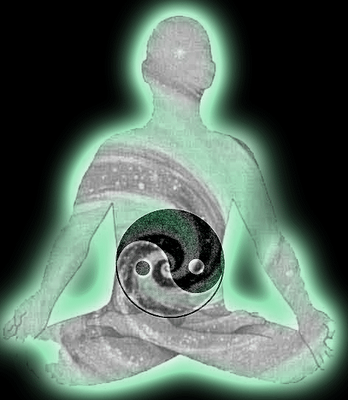 *In other cultures around the world, the belly is honored as the center of our physical & spiritual power. *The Japanese word for belly is hara, and they use this word as a description of a person’s character. A “person with belly” (hara no aru hito) refers to someone who is calm, centered, warm-hearted and wise. Developing your hara is synonymous with developing maturity & integrity. *Psychological stress has an immediate impact on your digestive system. Chronic stress often leads to chronic digestive issues. *60-70% of your immune system is located in your digestive system. *Our digestive health has a direct effect on our daily sense of well-being. *Diets that are high in sugar, fat & processed foods make your belly an environment where pathogenic bacteria, viruses & cancer cells can thrive. *Eating raw & living plant-based foods bring more oxygen into your belly. Oxygen helps to create an environment where healthy cells thrive and unhealthy cells get crowded out. Many of us hold stress and tension in the area of our bellies, and the extra weight which is often gained there as we age adds to our refusal to simply love and accept this part of our body. 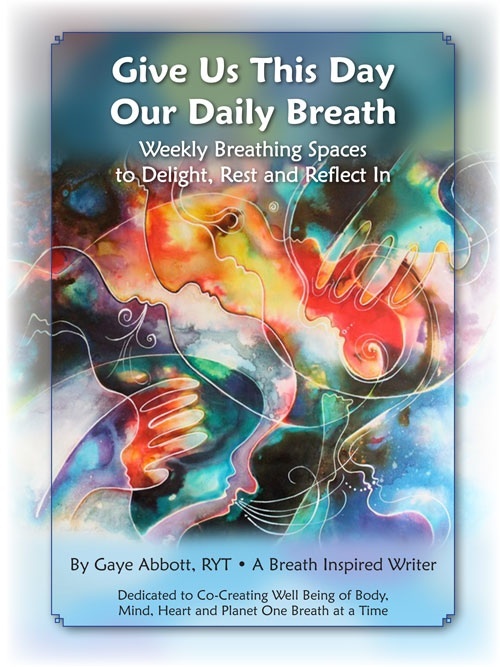 Breathing Spaces has talked about relating with the breath as if it was your lover. What if you treated your belly just as mindfully? Place your hands there and feel the warmth of energy that flows in as you bring loving thoughts and feelings through your hands into your belly. In stressful times take time to move from this part of your body, rest your nurturing hands there, allow the belly to softly expand outwards as you inhale releasing any held tension, use your favorite massage oil to increase circulation and promote lymphatic flow, or simply be mindfully present to this powerful center and breathe. 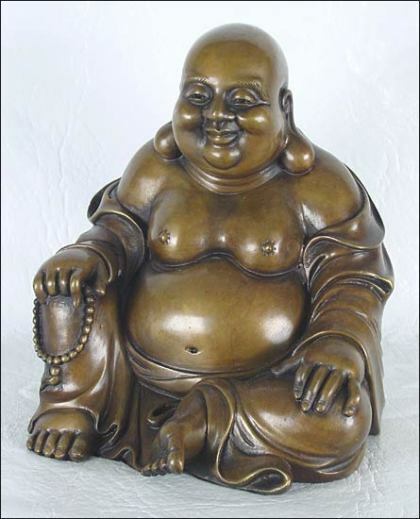 After all Buddha had a belly! There is an organization called Playing For Change that travels globally, as well as connects musicians all over the world, on behalf of healing and connecting all of us through music. I haven’t yet found a video that they have done that I haven’t overwhelmingly enjoyed. However the most recent one below has to be one of the most SOULFUL pieces I have heard in a very long time! Listening to this I couldn’t keep still and I found the music moving me in body, heart, soul and breath! It wasn’t about the words….it was about the feeling within the voice, the passion in the depths of the music, the interconnection between all of the group that created the deep soulful rendering of a very old song. When I drop into what a “soulful breath” is I feel that it has these same qualities. The feeling and quality within the breath. You have an opportunity every time you breathe to put some “soul” in it so to speak. Passion for your life, the relationships you are creating, and the way you treat your environment. Does your breath reach way down into the depths of your lungs, belly, hips, and back? Or does it show up as a shallow rendition of your life? Is there passion as you breathe and move, or are you on automatic? What if your breath was your lover. Would you pay more attention to it then?